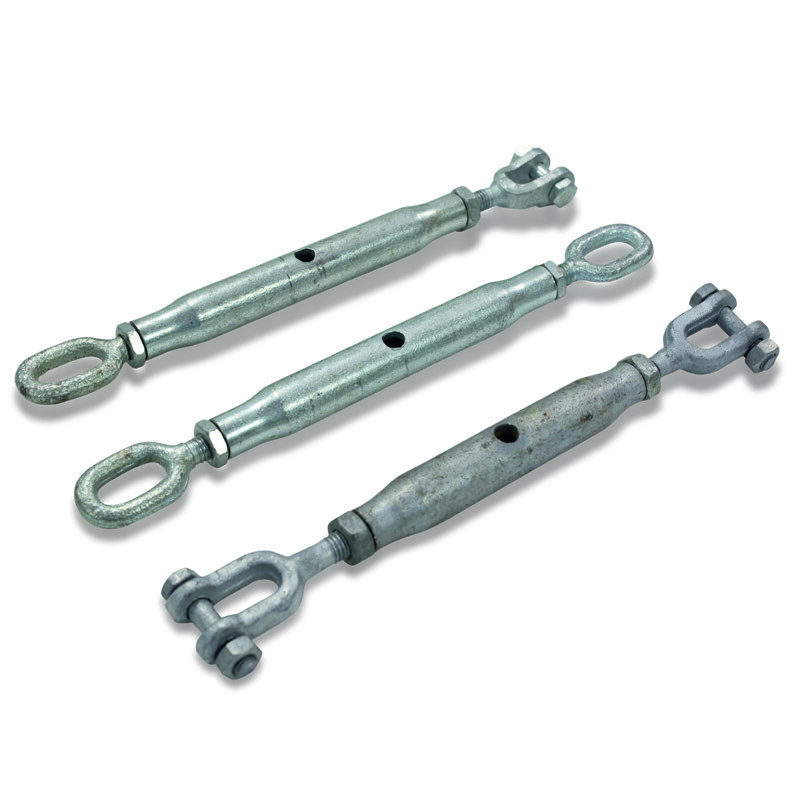 Rigging screws, also known as Turnbuckles, Strainer Screws and Bottle Screws. Available with an open body (Fed Spec) or closed body, both of which are suitable for weight loading. 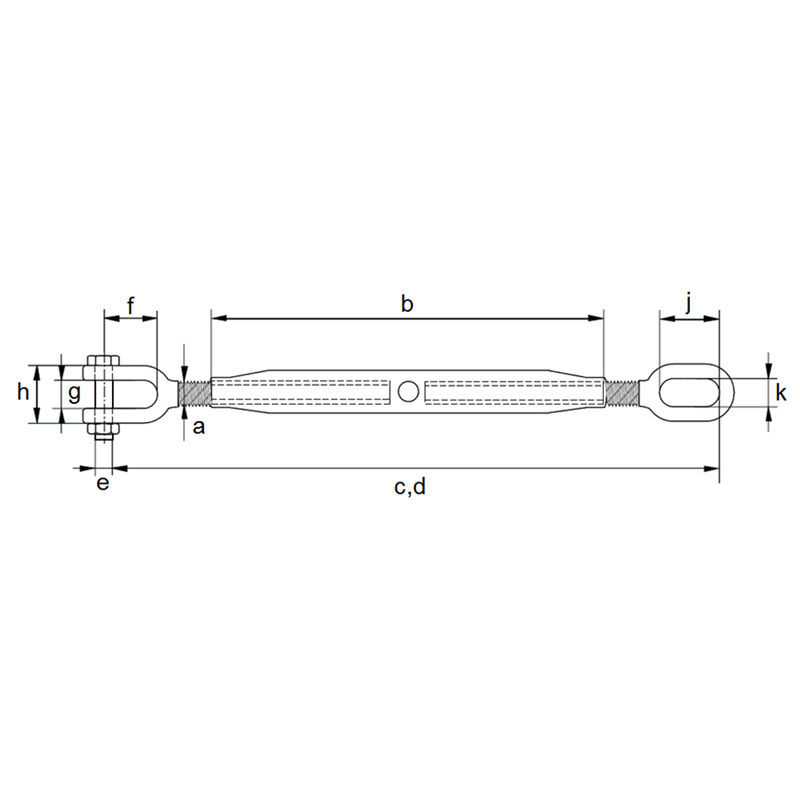 Choice of Eye and/or Jaw end fitting and available in a variety of lengths to meet fine adjustment requirements. 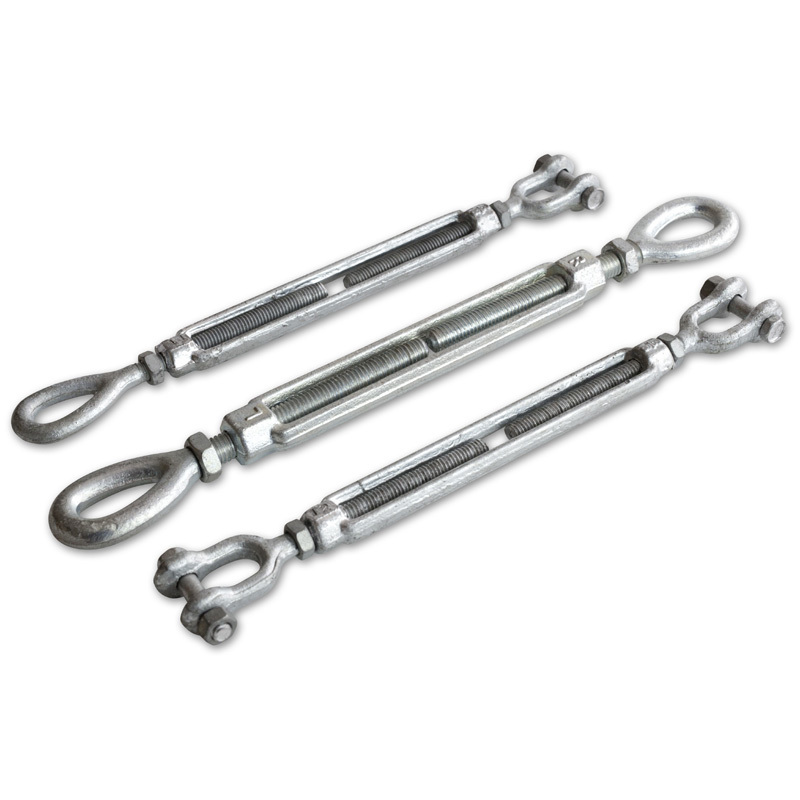 Commercial Strainer Screws are NOT suitable for lifting but are used for bracing and have a choice of eye and/or hook end fitting. 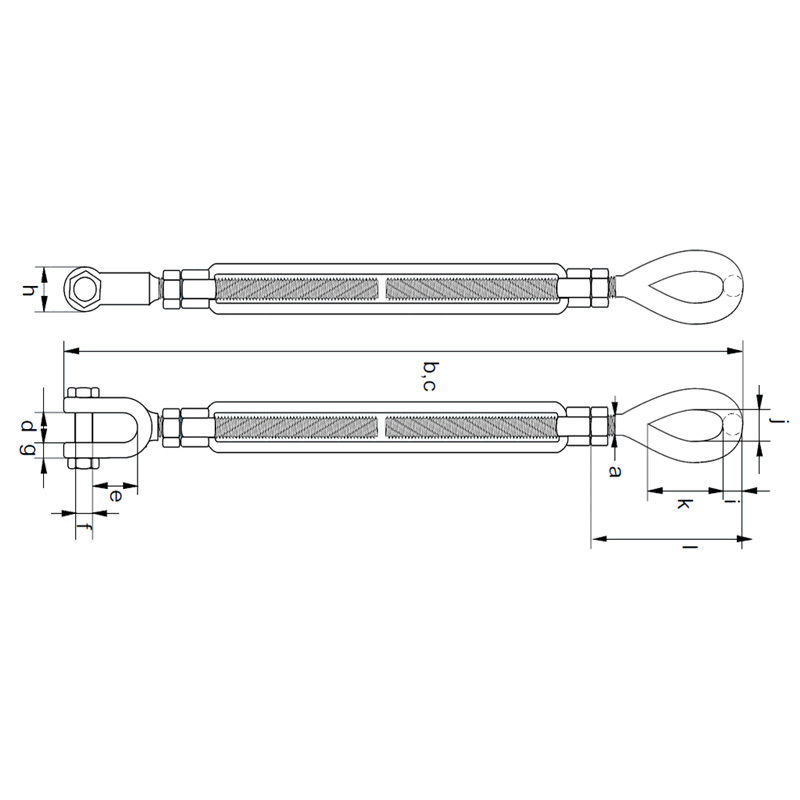 Available with an open body (Fed Spec) or closed body, both of which are suitable for weight loading. 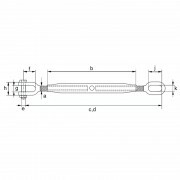 Choice of Eye and/or Jaw end fitting and available in a variety of lengths to meet fine adjustment requirements. 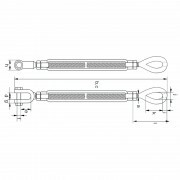 Commercial Strainer Screws are NOT suitable for lifting and have a choice of eye and/or hook end fitting.